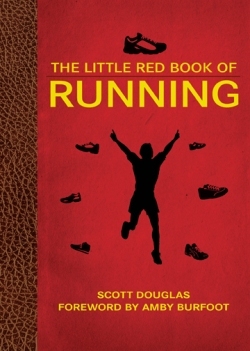 This is a repost of something I wrote on my soon-to-be-defunct Running Times blog in November. I had reason to revisit it recently and it’s all still all too true. You know how when an acquaintance who’s a casual runner asks you what shoe to get, and you ask what they’re running in, and they say, “Nike Air” or “ASICS Gel,” you say, “What matters is the name after that” while, if you’re a horrible person like me, sighing to yourself about the person’s lack of running knowledge? Well, no more. 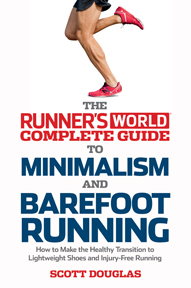 Having just worked on the shoe guide for our December issue, I officially decree that all runners are free from having to remember what they run in. Running shoe names have reached a tipping point of absurdity, where remembering them accurately could be construed as great training for warding off Alzheimer’s. I’m reminded of bands with names like When People Were Shorter and Lived Near the Water or movies with titles like “The Englishman Who Went Up a Hill But Came Down a Mountain.” Why erect unnecessary barriers simply to amuse yourself? It’s not just the length of the name, but the improvised spelling and capitalization. (And believe me, we hear from shoe companies if we get it wrong.) It’s ASICS, not Asics; adidas, not Adidas; GEL, not Gel. The Saucony shoe above is Stabil, not Stable, and it’s ProGrid, not Pro Grid, while Pearl Izumi’s shoe gets a capital “S” in the middle of the word even though the first letter is lower case. The Nike Free 5.0? Oh, that’s V4 of the 5.0. Got it. A lot of this started when companies started inserting the name of their proprietary cushioning system between the company name and shoe model; hence Nike Air BlahdeBlah, ASICS GEL Such and Such, etc. So you might think that the new wave of minimalist shoes might be more, well, minimal in their monikers. Some, admirably, are, like the Merrell Trail Glove. But what are we to make of the Terra Plana Vivobarefoot Neo Trail? Look, almost nobody even knows you exist. Don’t make getting the name of your shoe right more work than a hill session. New Balance even has a page on its site to help decode their shoe names. Shouldn’t the existence of such a thing be a hint to take a step back and look at the world from a perspective other than internal documents? I drive a Honda Fit. I bought it in 2008. If I were to buy one today, it would also be a Honda Fit, not a Honda Fit U.S. v. 3. Until running shoe names return to some semblance of reasonableness, I’m coming up with my own naming system. This afternoon, I’ll be doing an easy pre-race run in my white shoes. And Amby Burfoot likes it. As do Running Times (shocker! ), Washington Running Report and Competitor. Part 1 of an interview about it. Part 2. If you’d like to buy a signed copy, write to me. How Much Zoopy Zoopy Do You Need? My story on Bill Squires is available online. The last I heard, publication date is late June. Available here, at the top of the page. I added links to a bunch of podcasts and a few articles. Who knows why?